Right now, delivering eLearning is easier than ever. With the right learning management system (LMS), we now have amazing features and functionality at our fingertips. These features enable you to stop micromanaging and start training faster and more efficiently than ever before. To help you deliver more training with less effort, here’s our list of the top 9 automation features in your LMS that will save you time. Just implemented an LMS or been using one for a while? Either way, we’re sure you’re trying to find the best way to add users. Many businesses choose a manual upload, adding users one by one or batch uploading with a CSV. This is fine, it works, but why not kick it up a notch by automating? If your business uses a database that holds the users you want to add to your LMS, why not connect them? Be it your HR software or CRM, API capabilities allow you to easily integrate your preferred software with your LMS. Then once a user is added to your database, they are then automatically added to your LMS too. There’s no need to worry about adding your users, just sit back and watch them roll in. Now your users are added, how do you let them know it’s time to start training? With an LMS, you can send emails inviting your users to learn. Even better, these emails can be automated. You can also edit these emails to reflect your organization’s messaging as well as add a personalized touch with a learner's name. Once set up, the emails automatically send, giving you peace of mind that your learners know it’s time to get training. Single Sign-On (SSO) is a handy feature that enables you and your learners to seamlessly access your LMS from other systems, like a CRM, with the click of a button. 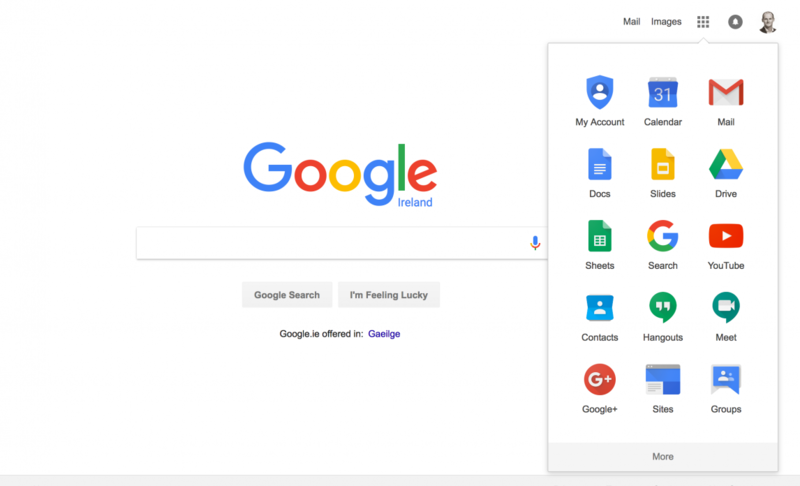 For example, if your organization uses G Suite, you can setup SSO so every employee can launch from their Google app launcher. As a bonus time saver, many LMS’s SSO, including LearnUpon, automatically creates a user the first time they click on the button, so there’s no need to even create them. If you have an LMS, you know that one of the most valuable aspects is the robust training data you get. From completion rates to progress reports, they show how your business’s training is impacting your ROI. You can run reports manually within your LMS and get the information you need. However, if you are continuously running the same reports, it’s time you consider automating. Simple to do, you can set up your reports to be sent on a scheduled basis. Whether it’s daily, weekly or monthly, it enables you to access all the invaluable information you need. Better yet, you can schedule reports to be sent out to anyone in your organization - LMS user or not - so you never have to waste time creating and sending the reports yourself. Many different types of training require certification - compliance, partner product training, etc. Instead of having to manually update and send a certificate, your LMS allows you to handily automate the entire process. You can choose to attach a certificate to a course that;s awarded to your learner after their training is completed. Certificates are also customizable. Custom fields, text, names - all can be added so your learner receives a personalized certificate proving they’ve done their work. If it’s compliance training you’re delivering that needs to be recertified every 6 months, annually, or every few years, you can automate this process too. Simply, set it up so learners are re-enrolled in their courses when they need to recertify. They’ll receive a notification, prompting them to retake their training. There’s no administrative effort needed from you or your team. Once your learner has completed a course, you want to keep them engaged, continuing on their training journey. One automation method that ensures they’ll keep coming back is Learning Paths. 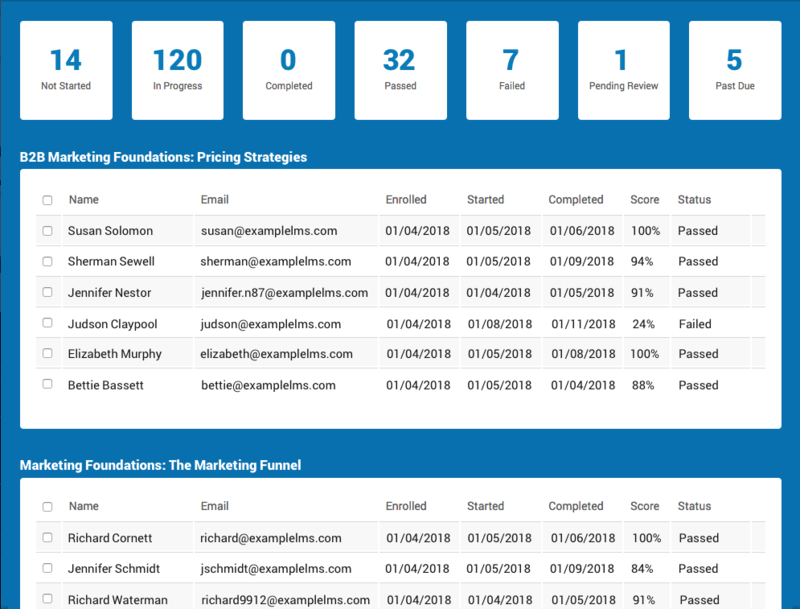 Perfect for adding structure to learning programs, they allow you to assign your learners’ multiple courses to be completed over a period of time. The courses are tied together and once a learner has completed one, the next course in the ‘path’ becomes available and your learner is notified. With the ability to be rolled out well in advance of learners being enrolled, you’ll be assured your learners are completing all of their required training. Within your LMS, you have the ability to enroll single learners into individual courses. However, you can bypass the time it takes to add each learner with a clever feature - Groups. Think of it as an enrollment engine. Firstly, you create a group (e.g. your internal tech department or new customers). Then, you can automatically add all the members of the group to a course or collection or courses in a couple of clicks. Groups have serious benefits, but you can take them a step further with auto-assign rules. This feature enables you to set up rules that allow you to place users in specific groups based on certain criteria, such as information on their user profile. As an admin, you can set as many rules as you need and when your learners enter the LMS, they’re automatically placed into appropriate groups. Once set up, it’s an automation machine for sorting, enrolling, and scaling your users. Holding webinars is an invaluable way to engage and connect with learners in remote locations. However, many companies still mark their webinar attendance manually. This is tedious, especially if you’ve got large numbers of learners attending. A sigh of relief is often exhaled when admins hear there’s no need for this manual work. By integrating your webinar tool with your LMS, your data will be synchronized between the two platforms. That means if a learner attends your webinar, this information is recorded in your LMS. You clearly see who has attended and you don’t have to waste time checking and updating manually. Quick to set up, invaluable time saved, automating your learning management system is well worth it. From enrollments to reports to groups, try out these simple LMS automation features today and see how they can help you deliver efficient, successful training.